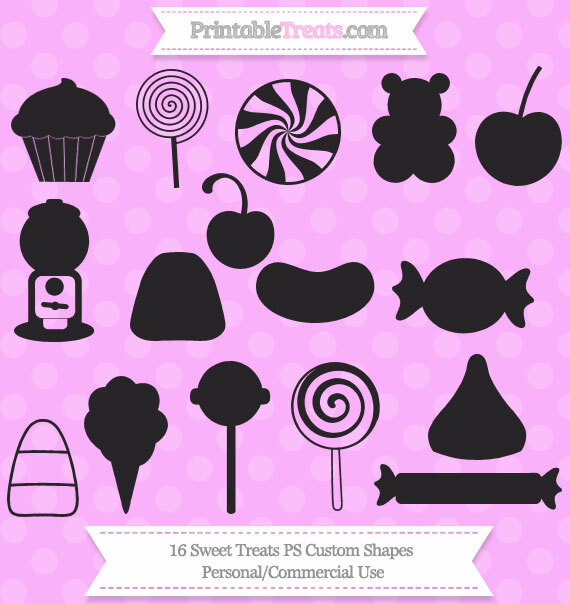 Get this free super cute set of sweet treats Photoshop custom shapes for your sweet candy themed Photoshop projects. You may use these files for your projects – personal or commercial use. You may not distribute or sell the custom shape file or claim it as your own. If you would like to share this custom shape set on your blog: Please provide a link to this page and do not link directly to the download file. You may use the preview image on this page for your own blog but do not hotlink to the image. The file downloaded is a Photoshop custom shape file in a zipped folder. The custom shape file was made in Photoshop CS3.